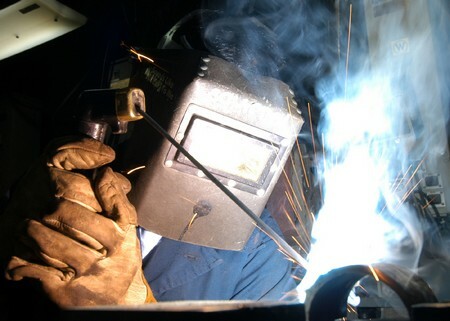 Arc welding is a type of welding in which the concentrated heat of an arc metal is utilized to weld different metals. An electric arc is used to provide and add an electrode to the parent metal (any metal). Keeping in view the nature of the metal and electrode, direct or alternate current is used for the arc. Electroslag Welding: It is a type of arc welding, weld metal is made with the help of a filler wire that forms the arc. A weld metal is set down between the two metals that need to be joined. In the end, water cooled cooper dams are utilized to fill up the gap between the plates. Flux Cored Arc Welding: As the name suggests, in this type of welding a tubular electrode is utilized filled with flux. The flux used is not as much fragile as other coatings utilized in the electrodes of arc welding. Another feature of these fluxes is that they guard the arc from environmental processes. Gas Metal Arc Welding: Among the two types mentioned above, this one might be the simplest. Immobile gas or combination of gases guards the welding area from any kind of oxidization. Another important characteristic of gas metal arc welding is that is it is inexpensive. Plasma Arc Welding: Plasma arc welding is a type of arc welding wherein electrodes and ionized gases are utilized to produce very hot jet of plasma on the metal plates that need to be welded. Shielded Metal Arc Welding: Shielded metal arc welding is an oldest, adaptable, and easy to use way of welding. In shielded arc welding, an electrical arc is generated by stirring the tip of the electrode to the metal plate and retreating rapidly. 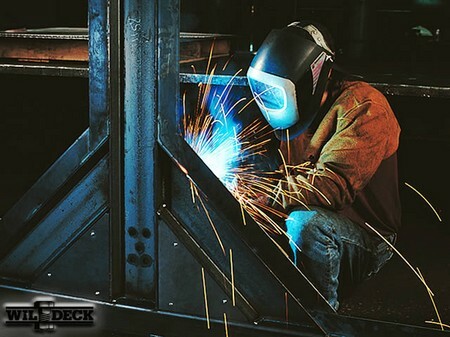 Maintaining and balancing the arc during the welding process is really an important part of the whole process. It is important to wipe off the slag formed on the surface to avoid collection of the oxides and nitrates. Submerged Arc Welding: A coarse flux is introduced to the welding area allowing it to build a thick layer for the sake of providing protection and shielding to the molten slag. This flux not only works as a thermal insulator but also prevent sparks. This method is effective for the welding in horizontal arrangement. Semiautomatic or automatic configuration is used to weld steel plate welding. Pulsed MIG: Superimposed periodic impulses of high current are used in pulsed MIG. At high current levels, the metal is sprinkled, while at low level of currents, the metal is not sprayed rather the arc is kept without passing on the metal. TIG is an acronym for ‘Tungsten Inert Gas’, it is a third type of welding in which a non-melting, permanent electrode is utilized. 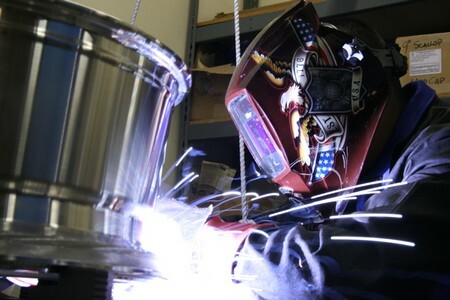 In TIG welding, a welding can be carried out even without the filler material, or filler material is used separately. Although, alternate current is preferred to carry out TIG welding process, direct current can also be used in some cases.